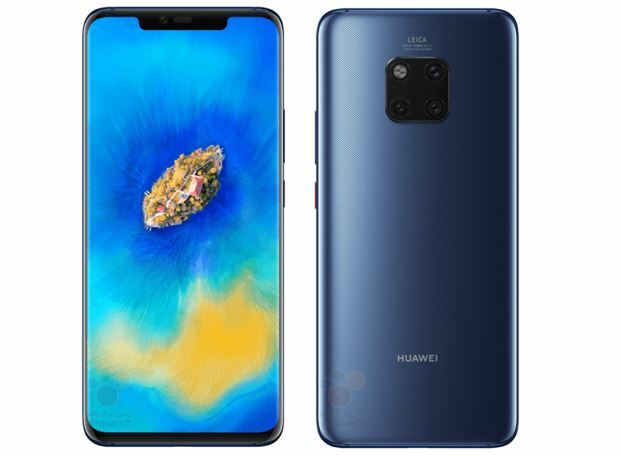 The Chinese manufacturer Huawei will present its two new top smartphones of the Mate 20 series in just over three weeks. 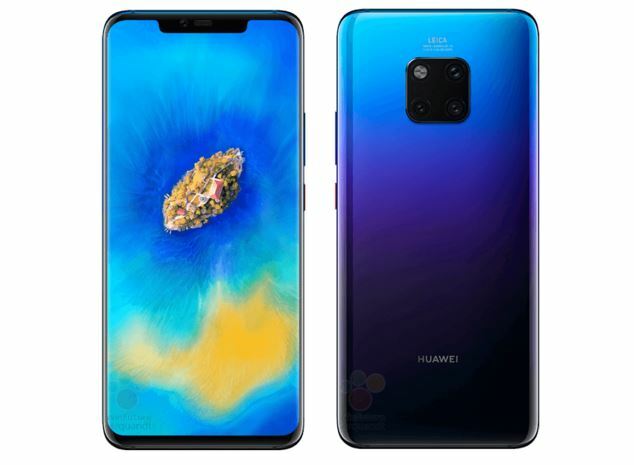 Here are official pictures of the Huawei Mate 20 Pro. In addition to the Pro model, as usual, there will be a model without the suffix. 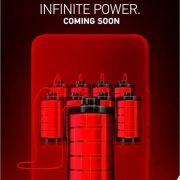 The codenames of these devices are known to be “Hima” and “Laya”, with “Everest” also a third, to date not yet to be classified more accurate version, which is either an expensive “Porsche Design” model or even larger edition. 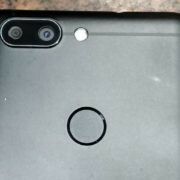 The above the picture shows that Huawei places a cutout at the top edge of the screen in the Mate series. In this compared to the P20 series clearly grown “Notch” bring, unlike the marketing images may suggest, not only the front camera and the earpiece. In addition, other sensors, such as the face recognition and the notification LED, are likely to find their place there. 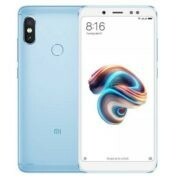 The display size is currently no reliable information possible, with third-party sources speak of about 6.3 inches screen size. The resolution reaches 3120 x 1440 pixels, a level previously unachieved at Huawei smartphones. It will be an OLED display under which a fingerprint reader is also installed in the lower area. In addition, it is already clear that Huawei installed the Kirin 980. 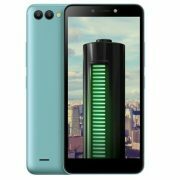 The first 7 nanometers SoC in an Android-based smartphone was already announced at IFA 2018 and features eight ARM Cortex-A55 and Cortex-A76 cores working in three clusters. Two of the high-end cores achieve a maximum clock rate of 2.6 gigahertz, while the other two high-end cores work at 1.92 GHz and the economical A55 cores reach a maximum of 1.8 GHz. Apart from these basic data, surprisingly little is known about the Mate 20 Pro. We can only rely on the pictures and some other sources. Particularly striking is, of course, the square arrangement of the three camera optics and the combined dual LED flash on the back. The Leica logo is now emblazoned on it, so the German camera company is once again involved in the development. In addition, the pictures reveal that the Mate 20 Pro probably with aperture sizes of F / 1.8 to F / 2.4 and focal lengths of 16 to 80 millimeters. While the information on the aperture sizes cannot be assigned to the individual sensors so far, the information on the focal length equivalent suggests that Huawei has further developed the camera technology compared to the P20 Pro. On the other hand, Huawei now has the option to realize a five-fold optical zoom, which, unlike the P20 Pro, actually offers a physically fivefold magnification. So far, they had used all sorts of software tricks to implement the five times “hybrid zoom”, in which image information from all three camera sensors flowed in to achieve a realistic-looking five-fold enlarged image. 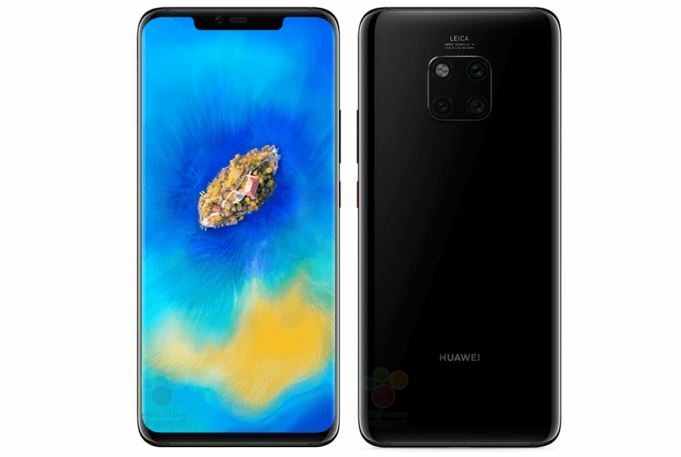 According to website winfuture’s information, the Huawei Mate 20 Pro appears in the colors black, blue and twilight, whereby the last-named variant with its attractive color gradient is likely to cause a stir again.